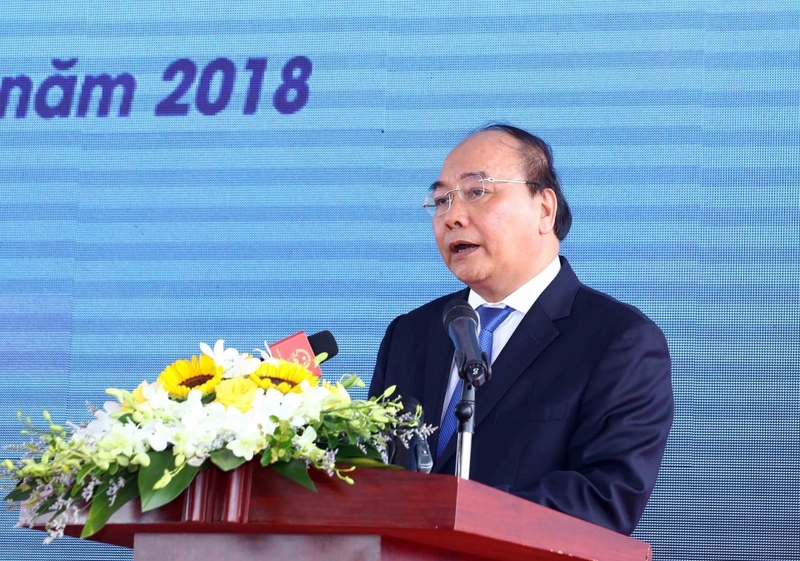 As the host of the 2018 World Economic Forum on ASEAN (WEF ASEAN 2018), Vietnam has the responsibility to work with the WEF and ASEAN to discuss important issues and plans for the development of ASEAN member countries amidst the Fourth Industrial Revolution, said Prime Minister Nguyen Xuan Phuc. This is to help realise the 2025 ASEAN Community Vision, for the interests of the entire region at large and each country individually, contributing to regional and global prosperity, the leader said in a recent article released on the occasion of the WEF ASEAN 2018 from September 11-13 in Ha Noi. "The world is changing rapidly, driven by the shifts in globalization and the tremendous leaps of science, technology and the Fourth Industrial Revolution. Against such backdrops, the ASEAN countries are making every effort to overcome challenges and harness opportunities for development in order to realize the 2025 ASEAN Community Vision, for the establishment of a strong ASEAN Community that shall further uphold its central role in regional mechanisms. Third, to reinforce ASEAN centrality within the region, enhance resilience and adaptability in the face of global and regional volatility, promote innovation and raise the effectiveness of cooperation, thereby bringing about more practical benefits to people and businesses. The 2018 WEF-ASEAN is not only an expression of Viet Nam's responsible role and contribution to ASEAN, but also an affirmation of Viet Nam's strategic vision in foreign policy and development. It is a strategic vision by the Party and State, to build an action-oriented, development-enabling government of integrity in service of the people and businesses, to place the people and businesses at the center of development, and to vigorously encourage entrepreneurship, creativity and the dynamism of the people and businesses. The success of the 2018 WEF-ASEAN shall continue to breathe new life and create new drivers for international integration, thus contributing to the affirmation of Viet Nam's role, status and active contributions in ASEAN and the region. It shall stir national pride and exhort the spirit of self-reliance and the aspiration to rise to the challenge, to build a socialist Viet Nam whose people are well off, whose nation is mighty, who shall enjoy democracy, equality and modernity."